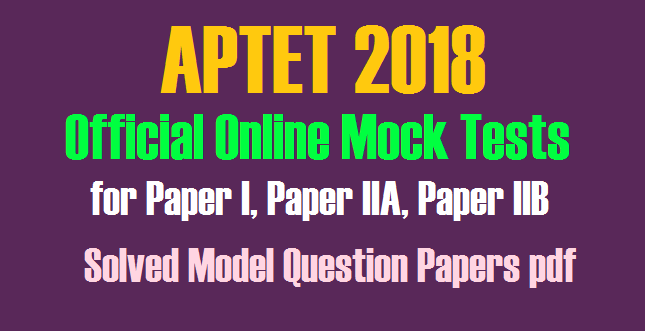 Commissioner of School Education Andhra Pradesh released Mock Test Paper for APTET Exam 2019. Andhra Pradesh Teachers Eligibility Test AP TET 2019 Computer Based Mock test Online Practice Papers Paper-I/ Paper-IIA/ Paper-IIB Online Practice test for Computer Based Mack test Model Examination Preparation Plan for AP TET Applying Appearing Candidate the AP TET official website insert Online. After the time is up the paper will be submitted. "WELCOME TO THE APTET PRACTICE TEST - 2019 "